Catchment Based Approach (CaBA) have put together a very useful and informative 'Biodiversity Pack'. 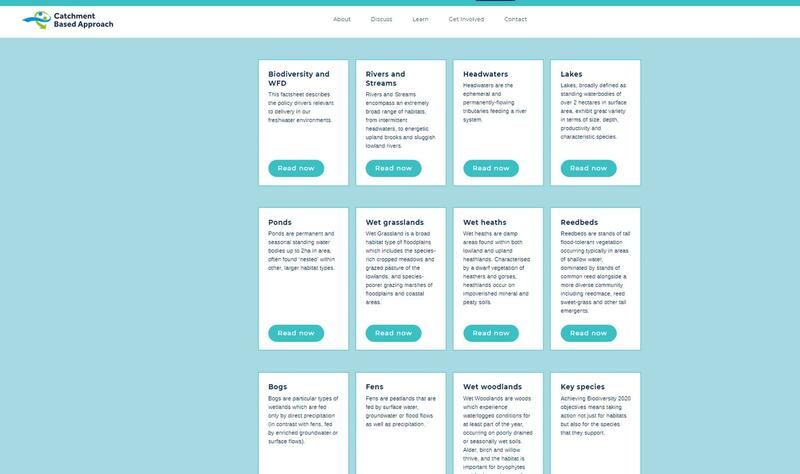 The 'CaBA Biodiversity Pack' has been produced to support catchment partnerships and others in their delivery of freshwater and wetland biodiversity projects. 2. Set out specific management messages to help guide decision-making in catchments, promoting the restoration of natural processes across a number of key freshwater and wetland habitats. The factsheets set out what natural ecosystem functions look like for a range of freshwater and wetland habitat types and why this natural functionality should be valued. These simple, habitat-specific guides, could be useful when developing proposals for habitat restoration schemes and in discussing ideas with landowners and communities.